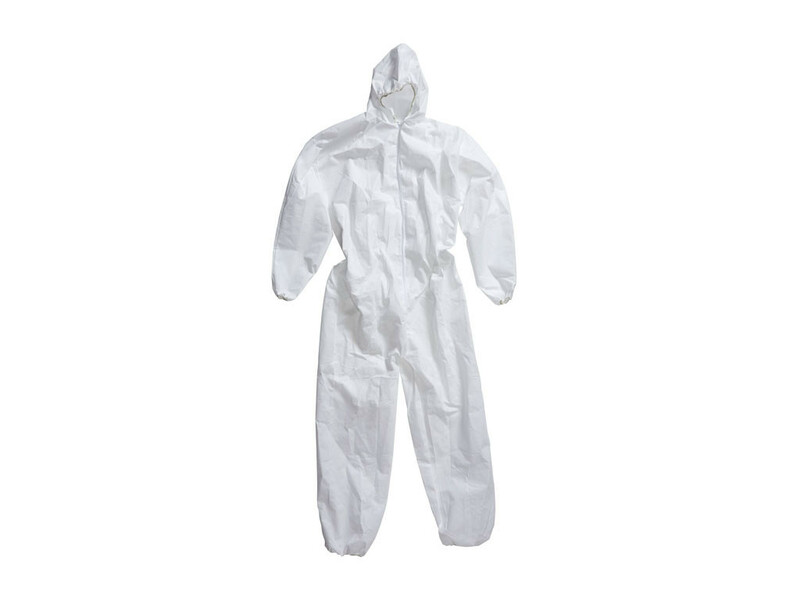 Premier disposable coverall boiler-suit large size for chest 48 to 52 Inch. 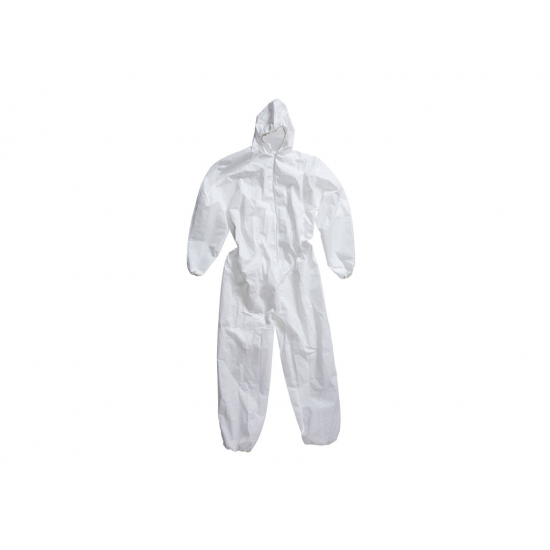 Heavy weight 60gsm breathable fabric with zip front, elasticated back, hood, wrists and ankles, for protection against fine dry particles and limited liquid splashes & fine sprays, ideal for decorating, loft insulation's, spray painting and general tasks. Made from 100% non-woven air permeable polypropylene, suitable for hot working environments. Cat 3, Type 5 & 6 accredited.